Earlier this month, I visited Exploration Green, a former golf course that local residents have helped to transform into a storm water detention basin and green space. 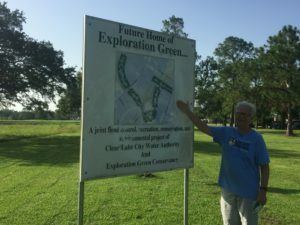 Located in Clear Lake, TX, Exploration Green finished its first phase in March 2018, and has 3 more phases to go. Yet even before Phase 1 was completed, Exploration Green is already paying off for residents of Clear Lake. Rains from Hurricane Harvey hit the Clear Lake area strongly, and the detention basin, then under construction, held 100 million gallons of rainwater and prevented about 150 homes from being flooded. Exploration Green serves as a model for what Houston and other flood-prone areas can do to manage storm water. 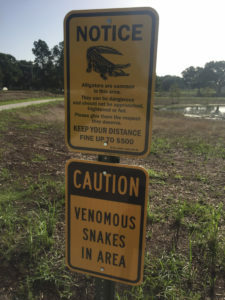 Profound development in the greater Houston area led to the loss of 20% of Harris County’s freshwater wetlands between 1990 and 2010, a loss of 15,855 acres. And as Harris and surrounding counties continue to be developed, more and more freshwater wetlands will be lost. Wetlands serve an important function. They clean polluted runoff that enters Galveston Bay, and without them, the health of Galveston Bay will suffer. 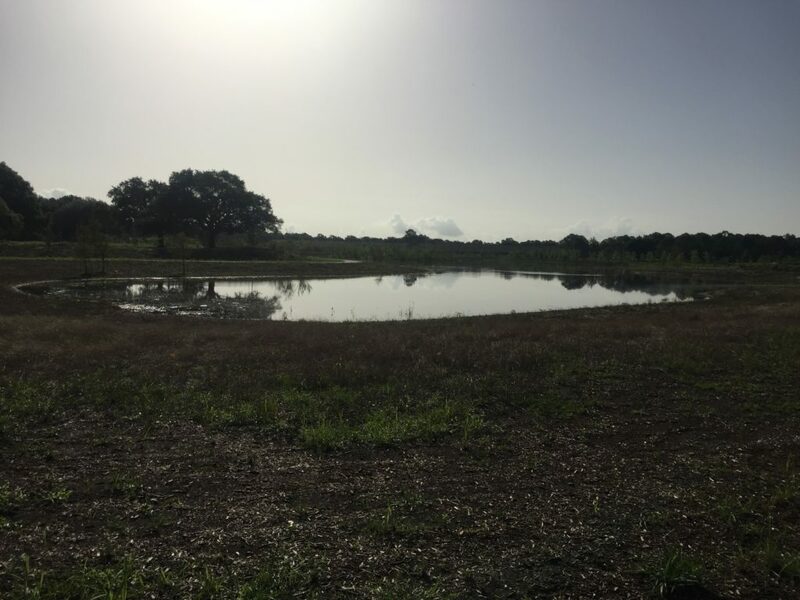 Exploration Green has been working with Texas A&M’s Texas Coastal Watershed Program to design and build storm water wetlands that can enhance the environment and provide habitat for the many creatures that call the Clear Lake area home. A recent report in the journal PLOS ONE states that the cost of flooding along the Gulf Coast will range from $134 and $176 billion by 2030, and the annual risk of flooding in the region is expected to more than double by 2050. This is due to climate change, land subsidence, and the concentration of assets in the coastal zone. Nature-based solutions like the storm water detention basins and wetlands at Exploration Green are a cost-effective way to help mitigate flooding in communities in Houston. Communities can and should used them alongside policy measures and other infrastructure improvements to enhance our resilience to floods.